Join us on a journey through the Karoo Heartland with our Karoo Heartland Challenge, learn some new secrets of the Karoo, be inspired by the vast beauty of the area and win some super travel prizes. Week one of the Karoo Heartland Challenge. 1) On which river is the town of Cradock situated? The eternally charming Die Tuishuise & Victoria Manor in Cradock is the perfect base from which to explore the frontier town of Cradock. 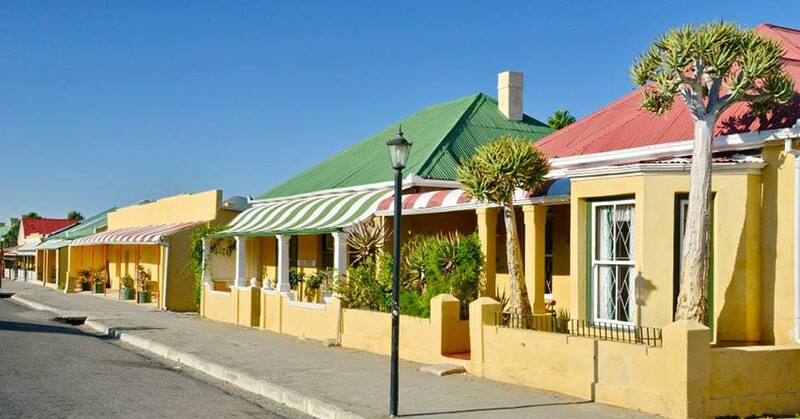 More than 2 dozen elegantly restored cottages line Market Street up to the stately Victoria Manor - a grand old hotel reminiscent of the time of Cecil John Rhodes, Olive Schreiner and the adventurers who have passed through over the last 150 years. A Literary Walking Tour of Old Cradock’, written and led by Brian Wilmot, Curator of Schreiner House Museum, takes one on a gentle stroll through the historic heart of Cradock – and here is the difference – it includes regular stops for readings from respected, Cradock-raised writers, including Olive Schreiner, Guy Butler, Iris Vaughan and Neville Alexander.